Brockenhurst Park and House lie close to the Parish Church of St. Nicholas, a little to the south-east of the village centre. The estate was purchased in 1769 by Edward Morant, then newly arrived in the village with wealth from sugar plantations in Jamaica, and an Elizabethan farmhouse on the site was replaced by a fine, Georgian mansion. Subsequent land and property purchases by the Morant family followed - in Brockenhurst, Boldre and Ringwood. 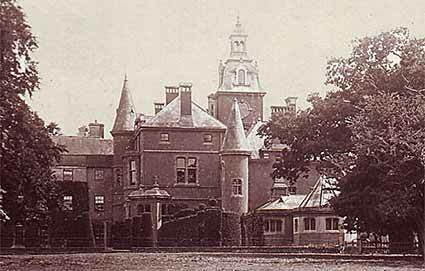 Brockenhurst House was substantially extended in 1865, pinnacles and turrets where added, and ornamental lakes and gardens created. Indeed, the grounds once featured in Country Life, which referred to impressive topiary gardens. Early Ordnance Survey maps show the presence of an Ice House, but this was filled in during the early 1970s, at which time there was no roof. (Such places were a common feature of large 18th and 19th century estates. Largely subterranean, they were used to store ice for kitchen use as a coolant and preservative. The ice was collected from nearby frozen pools, and latterly, was also imported from Scandinavia). Fountains, a boat house and engine house are also shown on the 1870 map; whilst the 1898 edition has added a fish pond, rookery and a pheasantry, which by 1910 shows simply as an aviary. 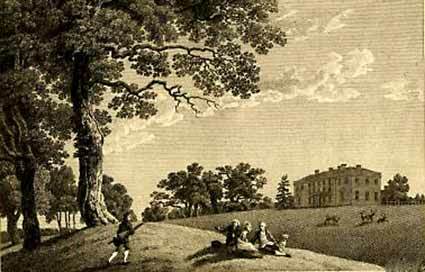 Brockenhurst Park was sold in the late-1950s and the Morant family moved to nearby Roydon Manor. After standing empty for a number of years, the old place was demolished in 1958, and a new house was built in 1960 by the incoming owners.